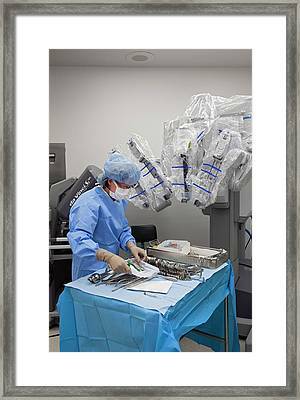 Laparoscopic Robotic Cancer Surgery is a photograph by Jim West which was uploaded on July 24th, 2016. Laparoscopic robotic cancer surgery. Nurse preparing surgical instruments to be used with a Da Vinci robotic system (upper right). This will be used to carry out cancer surgery in a patient's abdomen. The use of endoscopic equipment to perform minimally invasive (keyhole) surgery in the abdomen is a form of laparoscopy. 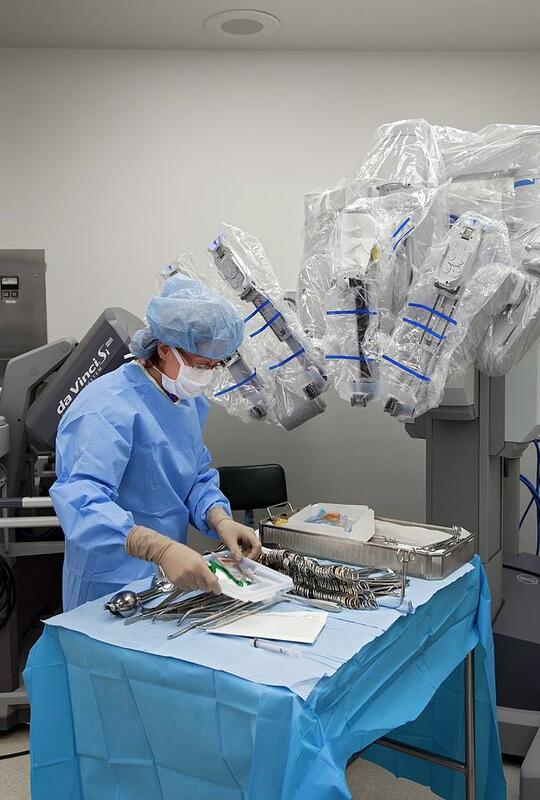 The da Vinci system allows the surgeon's hand movements to be replicated as smaller, precise movements of surgical instruments inside the body. The instruments are inserted through keyhole ports placed in small incisions in the patient's abdomen. 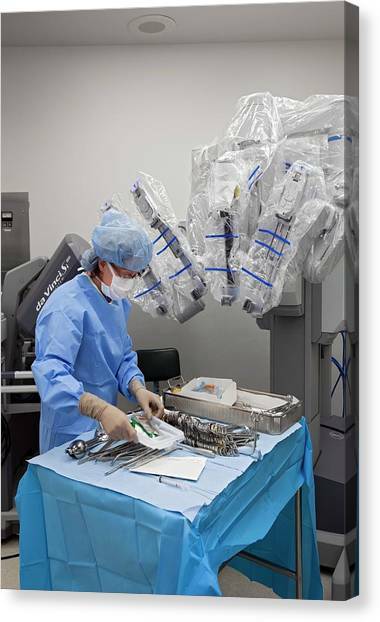 There are no comments for Laparoscopic Robotic Cancer Surgery. Click here to post the first comment.